We have a fantastic range of Gang Mowers. We have a fantastic range Gang Mowers. Since the early 1900s, cylinder mowing with simple land wheel-driven gang mowers has been the preferred system for generations of groundsmen, greenkeeper and park keeper. 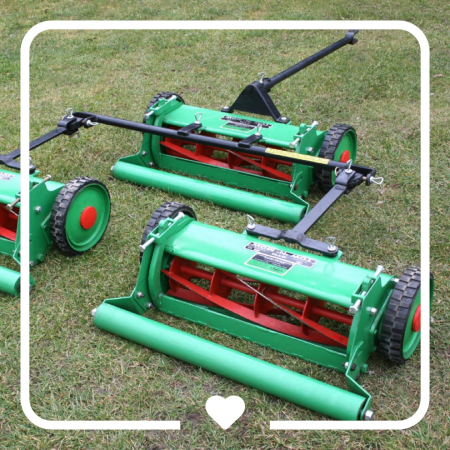 The low power requirement, simple configuration and ease of adjustment and maintenance make this traditional system a very effective method of cutting and recycling grass. The professional models today are of two basic cutting widths and may use an 8” or 10” cylinder diameter. Generally, an 8” cylinder would be suitable for sport, fine lawn and parkland with a 10” diameter for more growth such as golf course semi-rough or country park and paddock. 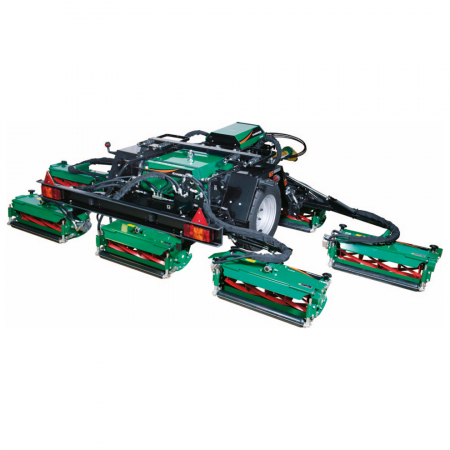 Considerations to the suitability of cutting surfaces should be made as gang mowers are designed to work on good, level ground and even rolling surfaces. 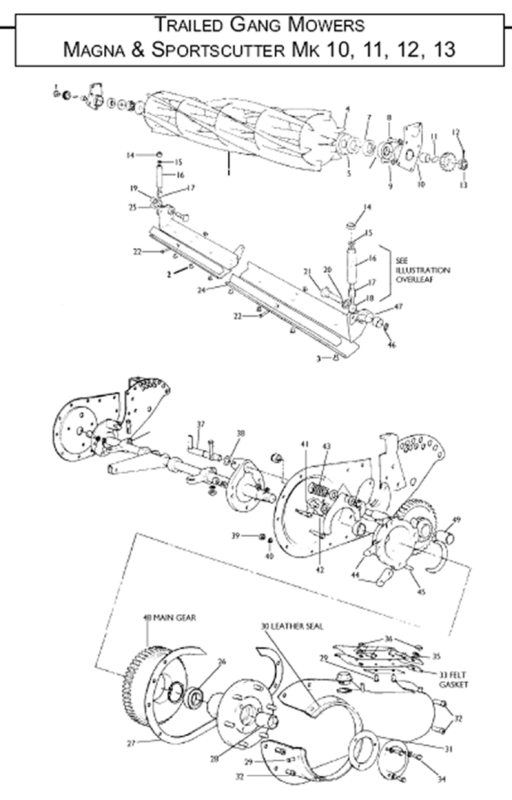 The overall unit weight is also important to maintain traction as the wheels need to remain in contact with the surface to drive the cutting cylinder. Lightweight imported “Mini Gang” sets will be useless if you expect a consistent quality of cut – once you move forward and increase speed they start lifting and bouncing leaving uncut ribs on the surface. Unlike a quality professional unit such as the RTM Tow n Mow Junior or the Dennis Guildfords – With each unit weighing 50kg on its own without the towing frame these gang mowers are more than adequate and produce a 1st class result – they are stout enough to hold tight to the surface and remain so even at max cutting speed. 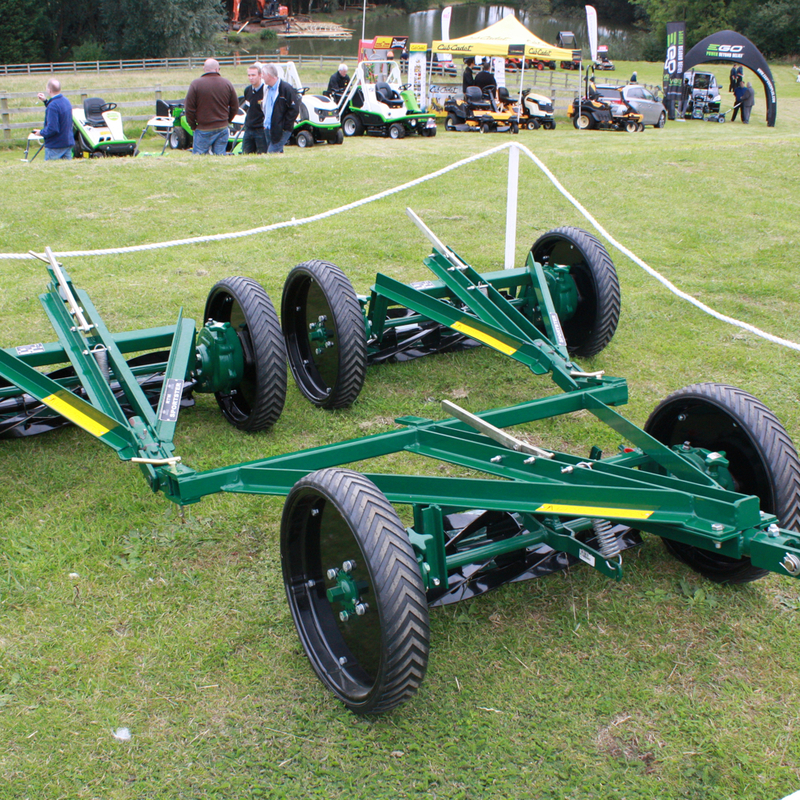 Part of the RT Machinery Ltd “Tow N Mow” range of efficient, well designed, effective and robustly constructed trailed gang mowing units. 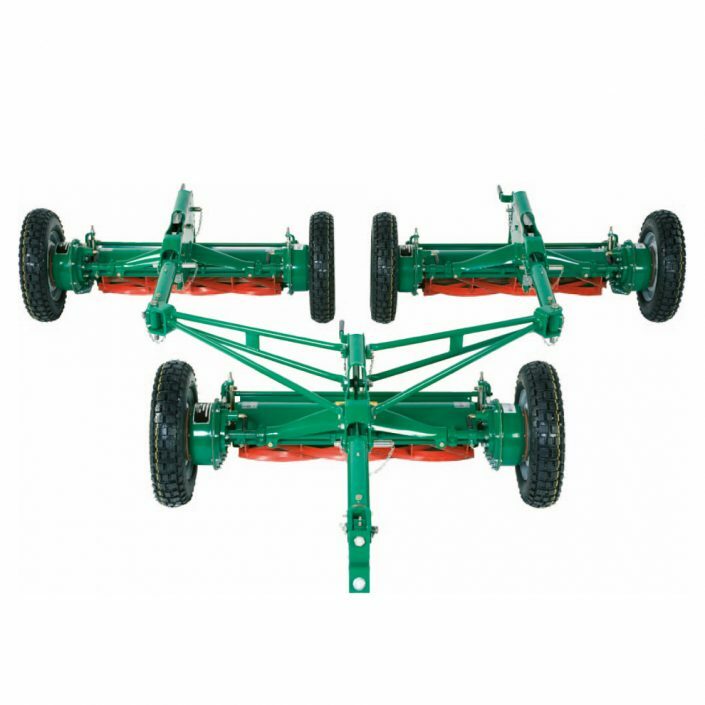 To complement the range, this low-cost but effective unit is ideal for paddocks and large area maintenance. The cutting units are designed with optimum weight and performance in mind, to give an effective Cut with a convenient and cost-efficient pulling power requirement. The height of cut is simple and quick to arrange, with “sight holes” available to maintain consistency over the three units. To ensure a crisp and neat cut the bottom blade is equally quick and simple to adjust. Tight turns can be undertaken with the units, with no loss of cut area. The units are designed to require minimal daily maintenance, with the remaining requirement being part of the annual service. positions available, easily maintaining consistency over the three units. Tight turns can be undertaken with the units, with no loss of cut area. Traditional systems are still the most cost-effective way of cutting larger open areas and to distribute the clippings, but machinery costs have escalated dramatically over the years. As a company with many years history in supplying, maintaining and servicing such products, we have invested time and resources in sourcing and manufacturing the RTM Sportster to bridge the gap and to make gang mowing systems affordable. 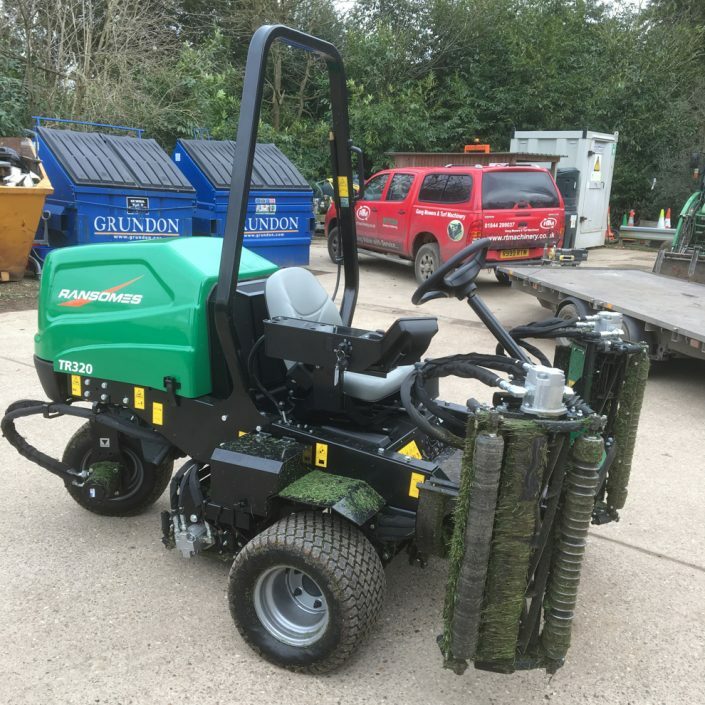 In fact, we can often supply new and remanufactured gang mowing units for less than original ones can be repaired or renovated. 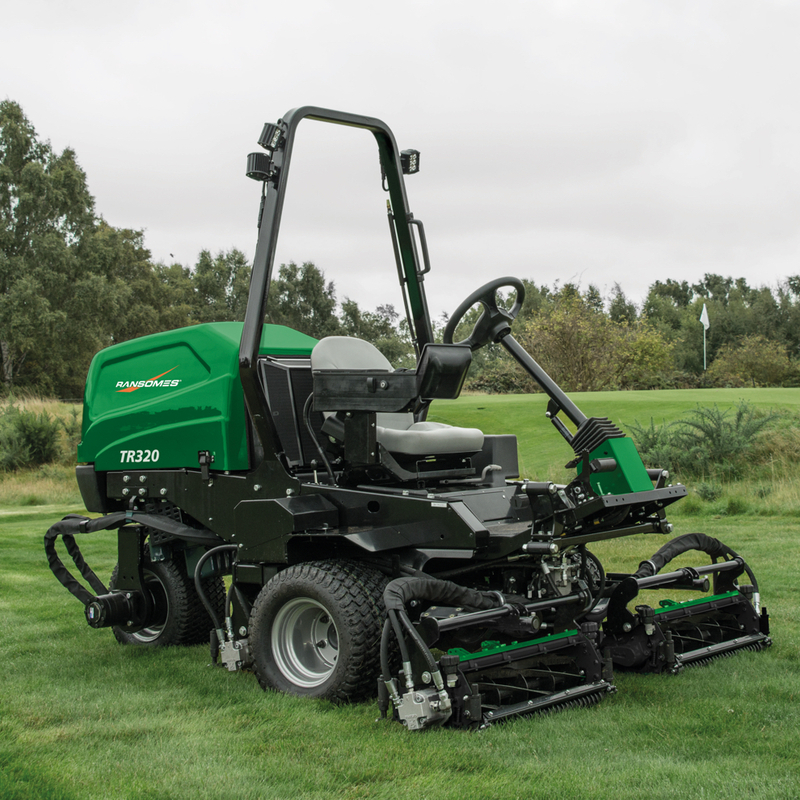 The RTM Sportster is designed for that premium finish on sport or park with a fine cut cylinder, adjustable bearings all round and ease of adjustment and settings – a true professional machine. It has also been manufactured to meet the standards of traditional mowing units of the past. These standards include build strength, durable wearing parts, high-quality performance, easy adjustment and a long trouble-free working life. 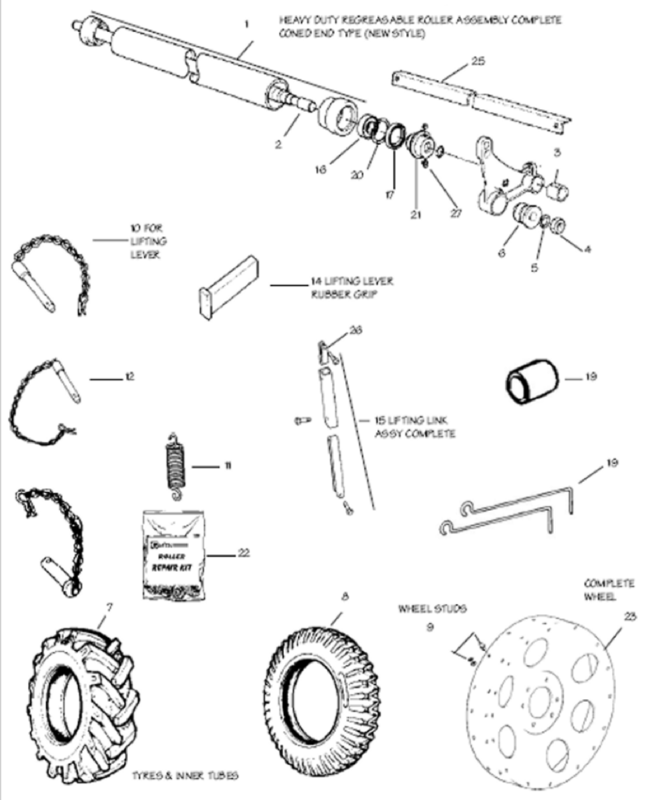 It is supplied complete and ready to work with a few set-up adjustments and fixings. We offer a full service to the trade and end user alike. New machines, service exchange units, used machines, hire, contract hire or outright purchase. We will do all we can to tailor our products and services to both your budget and needs. Part exchange can normally be offered on your old units. 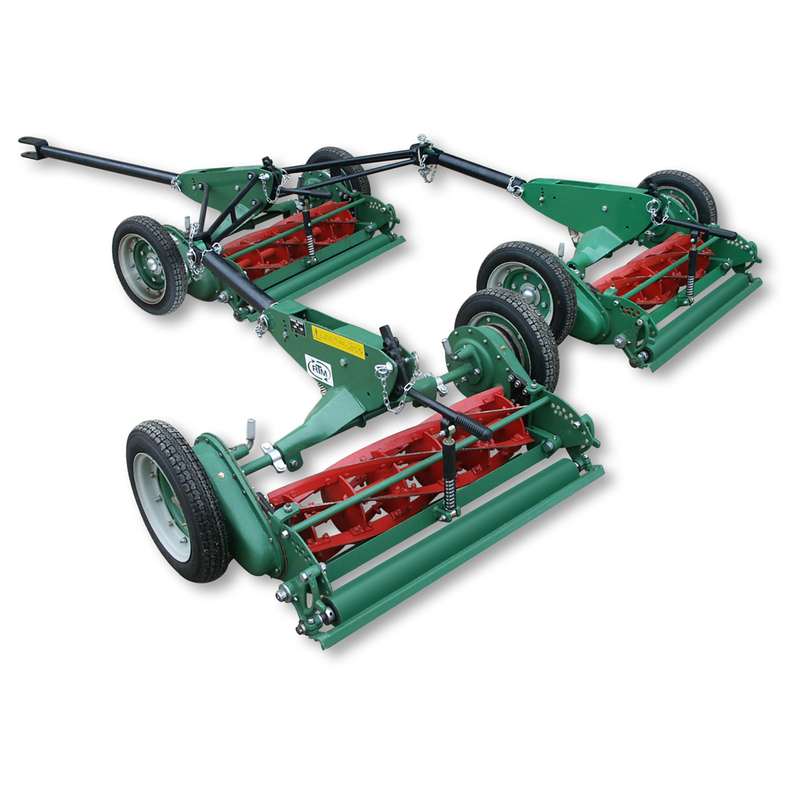 The RTM Sportster is available as a set of three or five trailed gang mowers, both fitted with universal multi tow frames and high-quality cutting units. They have a 6 blade low-profile cutting reel, used in conjunction with a rear roller. 203mm dia reels with a 20mm – 89mm cut height. 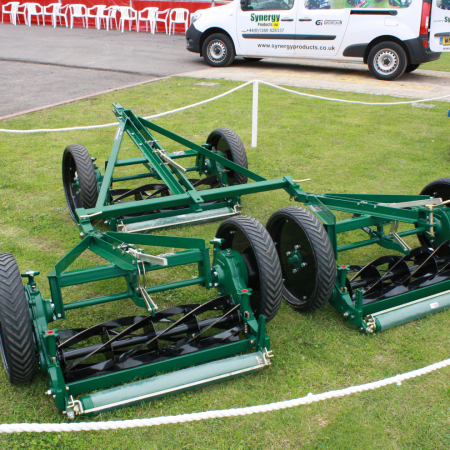 The RTM Sportster and Parkster range of mowers have been designed and manufactured to meet the standards of traditional mowing units of the past. These standards include build strength, durable wearing parts, high-quality performance, easy adjustment and a long trouble-free working life. With our units, we have matched these qualities – and all at a price that most sports clubs and estates can afford. The RTM Parkster has 5 blades, a 10-inch cylinder and is used without a rear roller for semi-rough applications. 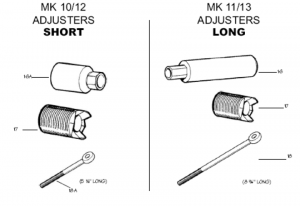 23mm – 60mm cut height. Remanufactured by RTM using new components exclusively manufactured for us. 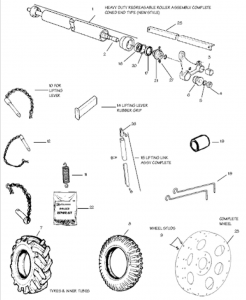 New components include cylinders, bottom blades, rollers, drive components, wheels and tyres plus frames as required. Designed to accept the Sportster or the Parkster cutting units, the power Lift has the special lifting feature to raise the outer units to reduce the trailed width to 2.4m, allowing easier transport and access. Available in 5 or 7 gang versions, offering an ultra-wide 4.5m (180″) cut. Cutting width for 3 gangs 2.10m (84″), 5 gangs 3.5m (138″) or 7 gangs 4.9m (192”). Choice of Sportcutter or Magna units that can be ganged together in 1,3,5 or 7 units. Height of cut: 5 knife Magna unit 19-76mm (0.75″-2.99″); or 6 knife Sportcutter unit: 13-45 mm (0.51″-1.77”). Flexible framework and universal couplings enable gangs to be close-coupled and trailed in line for ease of transport. Magna cylinders for longer grass deliver 27 cuts/m. 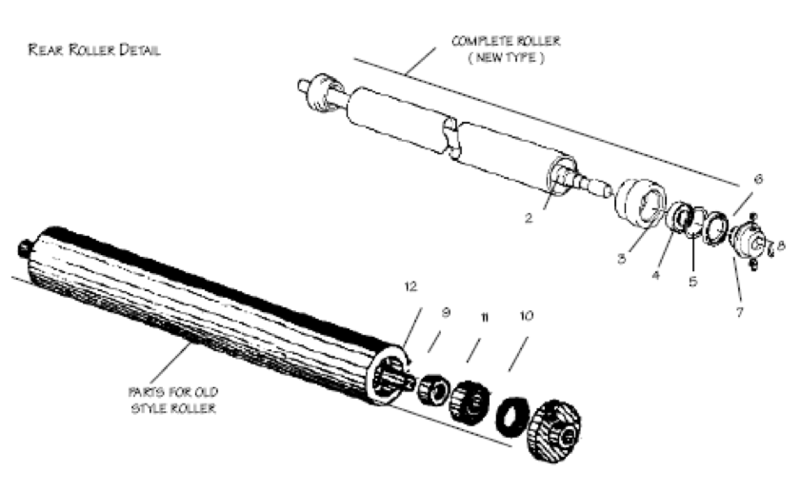 Sportcutter cylinders deliver 36 cuts/m for a finer finish. In Work	1 unit: 110 lbs. 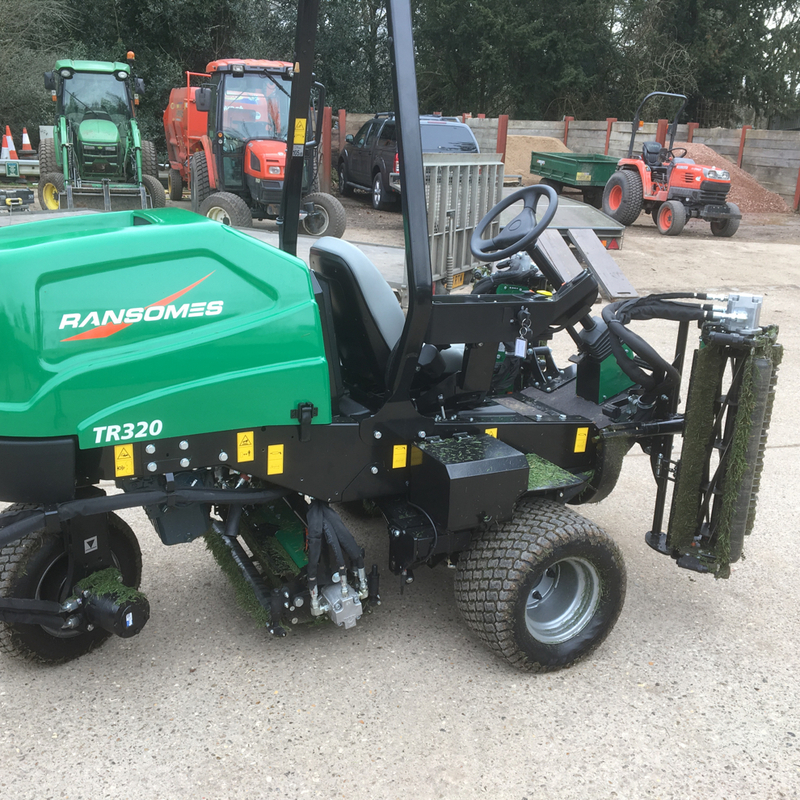 The Ransomes TR320 Triple Mower is our finest triple and suitable for a multitude of uses and client applications across the industry. The TR320 comes with a heritage of refined triple mowing and has evolved from the original TR3 series to be our most universal and value for money triple mower. Designed by the factory design team to optimise the multi-platform power unit it is innovative yet reassuringly traditional in its build. The powerful Kubota diesel engine sits transversely in the chassis allowing for ample power transfer yet additionally achieving the perfect point of weighing distribution and traction. This clever design also allows the hydraulic tank to be mounted at the rear of the unit adding to the weight distribution, traction and importantly the gazelle-like bank working and approach industry leading angles. Traction is further enhanced with the standard fitment of a rear wheel drive system and an optional weight transfer kit. The winning combination of superior slope capabilities and manoeuvrability makes the TR320 the only choice when it comes to negotiating tight spaces and challenging terrain while delivering a pristine mowing performance. 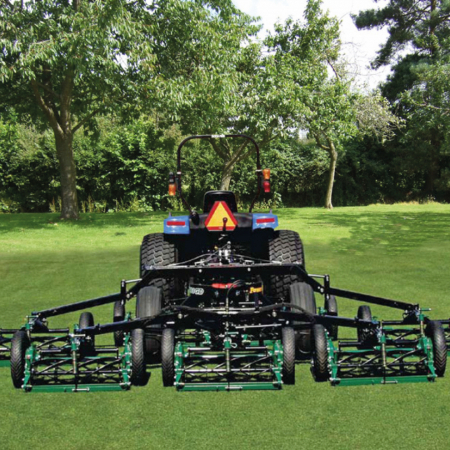 With a choice of 5 or 7-bladed cylinders, floating or fixed head Ransomes British-built cutting units it is very versatile and suitable for use in fine turf sport, ornamental or amenity applications. The three cutting units are hydraulically driven with outboard motor drive and can be configured in either a full lift with vertical fold up of the front units or very cleverly lift horizontally only allowing the motors to be tucked inside the units for a close cut to borders, hedges and fence lines. Factory fit options that can be configured in build to suit a range of applications from cricket, football, rugby, verge, park or estate include on board hydraulic back lapping, weight transfer, mow mode control, front and rear roller scraper kits, led amber beacon, road registration and lighting kits.